New Signings – Time To Adapt or Destined to Flop? New Author 14th January 2018 Arsenal, Exclusive, football, Premier league, satire, tactics, transfersTagged bergkamp, Henry, ozil, Sanchez, signingsLeave a Comment on New Signings – Time To Adapt or Destined to Flop? Football fans are renowned for their fickle nature. This isn’t a sweeping statement. Not all fans err on the side of the impatient or disloyal. I’ve had the fortune to converse with some fantastic individuals who would bleed red and white if they had the misfortune to be cut. We have all seen the opposite however – and we have all been guilty of this as well. When a new recruit, still with that new player smell, is unveiled to fans, the hope emanating from all and sundry is that this man still in his wrapper will be the final piece in the jigsaw. He will rip the carpet from under all opponents and strike fear into all who face him. Many different variables come into the equation when it comes to a purchase. Chief among them would be acclimatisation. Within this term, you have other variables, such as the country they plied their trade in, if they have played for their country in a major tournament in the summer and a possible language barrier. These are the main reasons used to excuse poor performances in the early part of their careers at their new club and worthy reasons they are too. 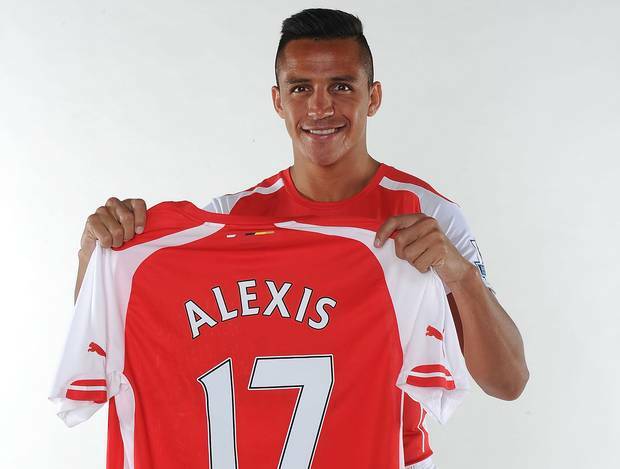 As Gooners, we are well accustomed to new signings waiting a while to explode onto the scene. Arguably the two greatest signings the club has ever made – Dennis Bergkamp and Thierry Henry – were slow out of their respective blocks after making their debuts with a Cannon resplendent on their chest. Dennis Bergkamp didn’t score for the first eight games of his career at Highbury and Thierry took the same amount to get off the mark. Both players exhibited the rudimentary blocks of what they possessed but pockets of fans were doubtful of their pedigree. Then there are the rare few who in their first season are seemingly buoyed by the fervour which followed their acquisition and the fans screaming their name. They show no hint of struggle to change lifestyle and playing style and go on to silence any naysayers before even the merest whisper of a negative comment has left their bitter lips. Alexis Sanchez had spent three seasons in the tactically astute but less physical La Liga with Barcelona and previous to that, three seasons in the defensive hotbox that is Serie A with Udinese. He would have had ample cause to struggle at first but he didn’t. He was an absolute marvel in fact. His hunger for the ball – bred playing football in his native Chile – was there for all to see and drove him forward, backward, left and indeed right in his never ending quest for possession. Even when it was clear for all with eyeballs to see that he was jaded from over-exertion, his displays demanded inclusion. It was so refreshing to see. Mesut Ozil was quite the opposite. We expected so much from the man who was branded the ‘Assist Machine’. The man whose leaving caused Cristiano Ronaldo to question Real Madrid. His first season did not exactly scale the heights of the exemplary though. Whilst he showed in bursts what he brought to the Arsenal table ( his goal Vs Napoli will not be forgotten in a hurry ) the media painted quite the different picture and soon he was labelled an expensive flop. His price tag was a factor, seeing as he smashed the previous transfer record at the club. A lot was also made regarding his waif-like frame. The next season saw a different Mesut. A Mesut carrying a little more timber which in turn had been honed into sinewy muscle. He had made extra effort in the gym at Colney to adapt to the rigours of the Premier League, something which he was entirely a stranger to in Spain. It paid off but this wasn’t at the crux of his blistering season. Another motive should be credited. Seeing as his raison d’etre was to lay chances on a silver platter for the likes of Walcott, Giroud and co to snaffle up, he needed time to monitor the runs and movements of these individuals. Ozil feeds on the subtle nuances of these players so he can be quicker to react to a mere head tilt or shoulder movement than an opposing defender. Couple this with his meatier frame and you have Mesut Ozil Mark II. There are so many explanations as to why a player can be caught in the net of the mediocre in his first few months. Adjusting to training methods and tactics, different teammates, different partnerships, weather, coaches, the heft of a price tag, media attention, even down to whether they were chased by a club or intentionally sold by their old club. So how can we judge if a fresh soldier in our ranks will go A.W.O.L or if they will win the Purple Heart? We can’t. It is impossible to decipher the many different sums which make up the mechanics to a player settling in at a club. What is does require is patience. Not so much that we will accept the humdrum and maintain that they ‘will come good’ whilst we once more stick our head in the comfy sand. But nor should we expect a hatful of goals in their first few games or for a new defender to build rapport with their defensive cohorts within the first month. 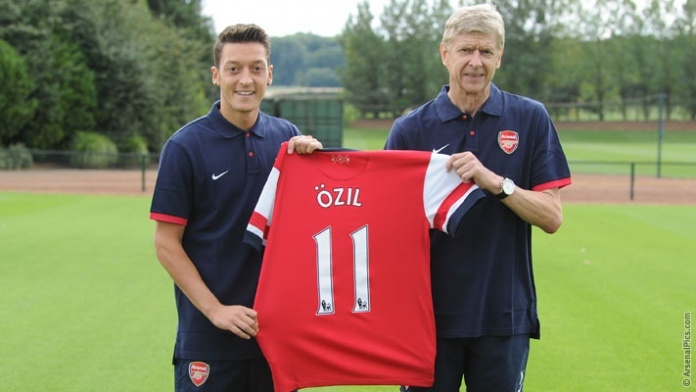 If we are so lucky to nab another superstar this summer a la Sanchez and Ozil – we CAN show them that this club is run differently – and at odds with – most clubs in existence. We maintain the same values that we held so dear when the great Herbert Chapman first adopted them. We also have one of the most loyal and fervent fanbases in the footballing stratosphere. We adore each of our players and we always aim to support, rather than criticise. If they haven’t done the business after six months, we have every right to call into question the player and if they are well suited to the physicality of the Premiership. We also need to keep in mind that patience brings its own reward. Just ask Dennis, Thierry and Mesut. Do We Need Another Forward?